Given that it’s the end of 2017, it’s time for TechnicalCafe’s annual “Favorite Apps” post! As usual, I’ve used a variety of apps throughout the course of the year, with many coming in handy or being used every single day. Whether it’s keeping up with what family and friends are doing or taking some quick notes, my phone is probably one of, if not the most used device that I own, with much of this utility owed to the apps that are installed on it. Below, in no particular order, you’ll find a list of some of my “favorite” apps from 2017. It’s likely that some of these apps appeared in previous versions of this post, simply due to how often they’re used and how helpful they may be. Tweetbot, by TapBots, is a third-party Twitter client that has a clean and easy-to-use user experience, while also offering a variety of gesture-based controls. 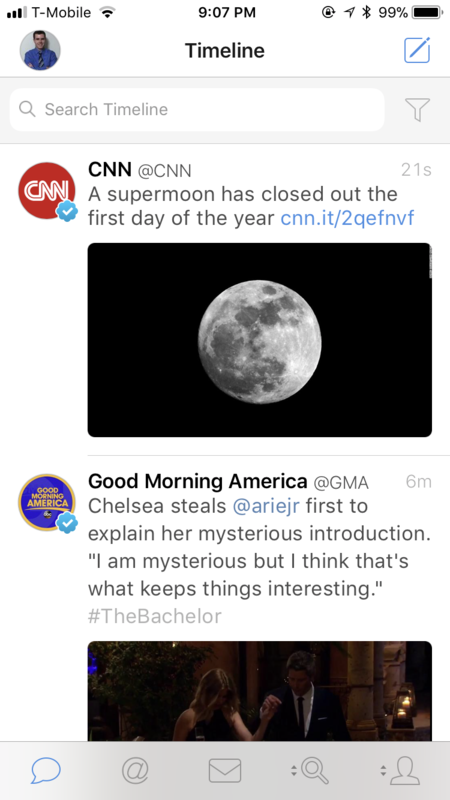 For example, if you’re in the main timeline and swipe a tweet to the side, you can view replies and other information about it. Swiping the other way will bring you straight to a reply screen, where you can then write and send your own reply. With an easy to use navigation and a clean and modern looking UI, I would recommend Tweetbot to anyone who’s looking for a no-nonsense way to view, write, and manage their tweets and Twitter profile. For those who use a Mac computer, Tweetbots also offers a downloadable client, as well. SnapChat likely needs no introduction, and is an app that I use pretty much every day. With a great deal of friends and family members using the service to send quick photos and videos of what’s going on in their day, it’s fun to open the app and see what everyone’s up to. With the ability to dress up snaps with text, stickers, and filters, it can be a lot of fun to try and craft a creative photo or video and share it with friends and family. Like with SnapChat, Instagram is an app that I use daily in order to keep up with what family, friends, and others are up to. For those that aren’t on the service, Instagram enables users to post photos and videos, with others being able to comment on them. Additionally, Instagram also enables users to post SnapChat-like stories so that users can see small updates throughout the day that do not appear in the regular feed or on the poster’s profile. Ever since I (momentarily) switched to an Android phone in 2014, Evernote has been my go-to app for taking and storing the majority of my notes on the go. Whether it’s a list of items to pack for a trip or a photo of something that I’d like to remember, Evernote has support for it. One feature that I particularly like about Evernote is that, in addition to being a mobile app, the service is also available as both a downloadable desktop app and a web app. This can be especially useful for when I’d like to write a more “complicated” or “drawn-out” note or if I’m just using my computer and don’t want to pull out my phone to remember something. One drawback to the free version of Evernote (which is what I currently use), however, is that the service limits users to being signed in to a maximum of two devices at a time (not including the web app). So, if you have the Evernote app installed on an iPhone, Mac, and an iPad, for example, you’ll have to pick which of the two you’d like to keep signed in, unless you either purchase a premium subscription or log in via the web app instead. With all of the websites and services that are available today, it’s virtually impossible to remember what passwords you chose for each service, especially if they’re comprised of a variety of different characters (upper and lower-case letters, numbers, and symbols). 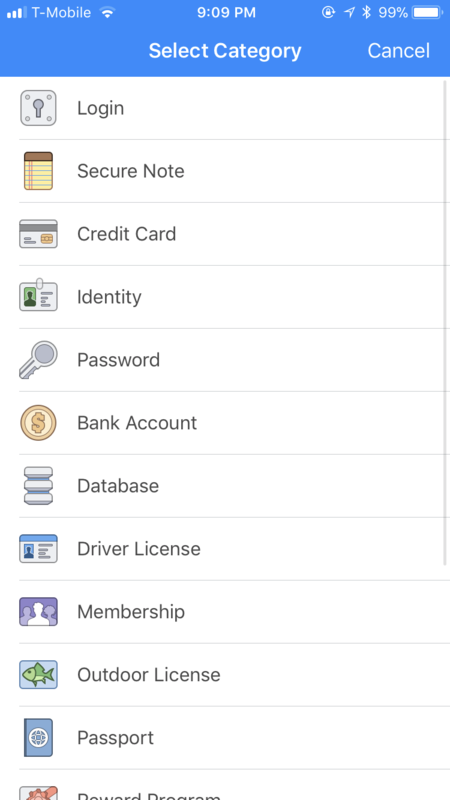 This is where 1Password comes in – it provides a password-protected vault for users to store their passwords and other sensitive data in. What’s more is that all of the data stored within 1Password is encrypted, so even if someone were to get ahold of your backup, they still wouldn’t be able to determine what was stored in it. Using 1Password is easy, and users can even choose to unlock their vaults using a fingerprint or FaceID, should they wish to do so. Then, finding a password (or other information about an account, etc.) is as simple as typing in the name of the website or service or simply scrolling through a list to see the available options. As a Google Calendar user, Calendars 5 has been my go-to calendar app for a few years now. I like how the app supports natural language processing, enabling users to add events to their calendars by simply typing them in “regular” language. For example, you could simply type “Meeting tomorrow from 1-2 PM” and the app would know to add an event to your calendar for the next day from 1:00 PM – 2:00 PM. This prevents users from having to manually select start and end times for events, making it quick and easy to add them to a calendar. While Calendars 5 is somewhat expensive for an app ($6.99), I find it to be a great app for managing one’s calendar and would recommend it to anyone looking for a new calendar app. As someone who consumes a great deal of their video content from YouTube, this app definitely deserves a place on my “Favorite Apps” list. In fact, my wife and I have “cut the cord” (we never really had it in our house together to begin with) and don’t have cable, so we tend to watch a lot of web-based content including what’s available on Netflix, HBO Go, YouTube, etc. Given that I follow several “vloggers” and “how-to” channels on YouTube, I’m often using the app to see what new content is available. What’s more is that we can push YouTube videos to either our ChromeCast (also by Google) or to the Apple TV and watch it on a bigger screen, if we want to, and can use the app to control what we’re watching. For those that like to keep an eye on the weather, Dark Sky is a full-featured weather app that provides a great deal of information as to what Mother Nature is doing. 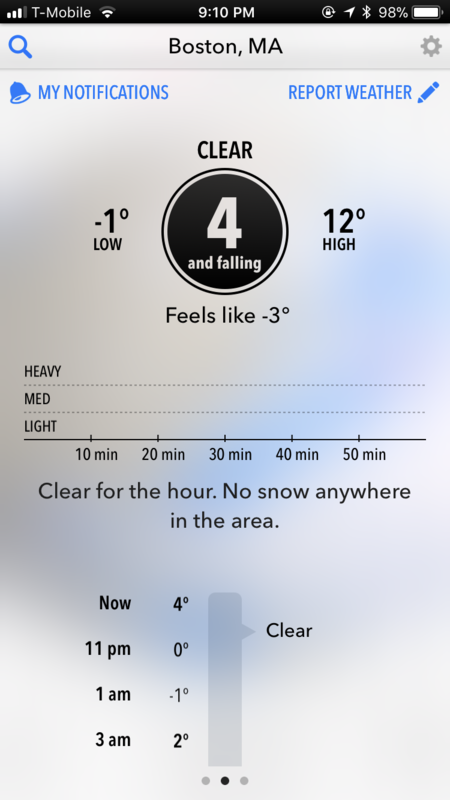 The app even includes an hour-by-hour breakdown (via a neat graphic) of what a day will look like, making it easy to plan activities or just see when it might rain or snow. Also included in the app is a 7-day forecast, the ability to add and view weather for multiple locations, as well as the option to view maps that have weather radar and temperature information overlaid on top of them. While Apple’s native “Weather” app gets the job done just fine, I’d recommend Dark Sky to those who may be looking for more detailed information about the weather. 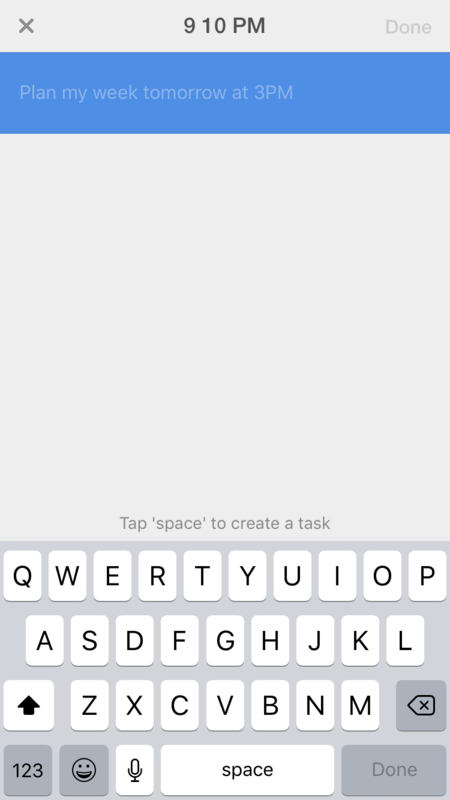 AnyList is a great app that enables users to create a variety of lists, like shopping lists, to-do lists, and more. What’s more is that users can add information and notes to list items and can easily drag-and-drop to move the items into different categories. Perhaps the most useful feature of AnyList, at least for my wife and I, is the ability to share lists with other users. 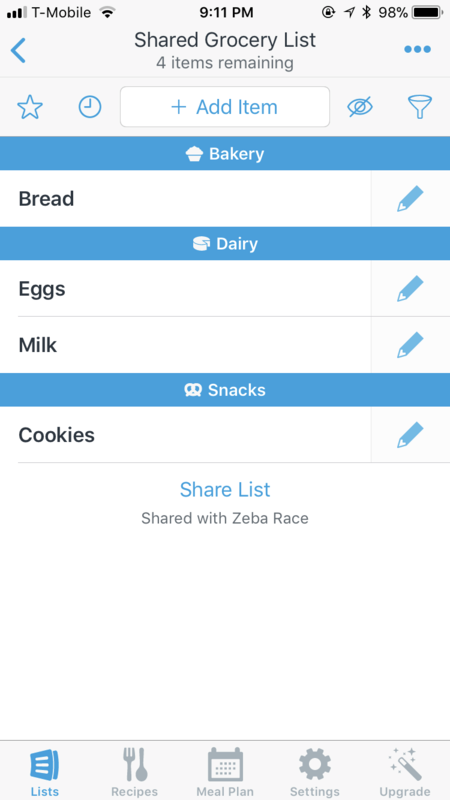 We personally use the app as our grocery list and are notified (via push notification) each time the other person updates the list. While there are a bunch of other list or to-do apps out there that have a sharing functionality, AnyList is easy to use, has a great set of features, is free, and just gets the job done. For anyone looking for a list app, I’d definitely recommend that they check out AnyList, especially if you’re looking to share and manage your lists with others. 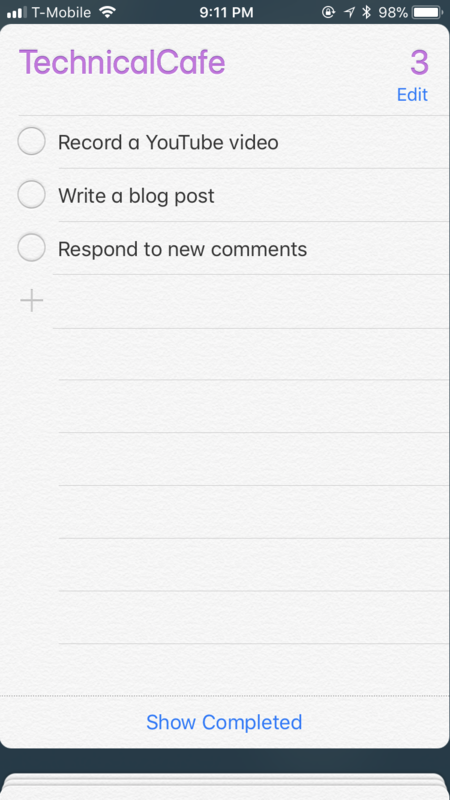 While many people often replace native iOS apps for a variety of reasons, I’ve been using the default Reminders app for a while now and think it works pretty well for what I need in such an app. Given that the app is integrated with Siri (as are most native iOS apps), it’s easy to simply dictate a reminder using my Apple Watch or iPhone. For example, if I’m driving or am out and about and want to remember to pick up some milk on the way home, all I have to do is say “Hey Siri, add a reminder to get milk today at 5:30 PM” and it is added. The fact that the app automatically syncs with my other Apple devices is also very useful and makes it easy to see what reminders whether I’m using my phone or am sitting at my computer. Users can create multiple lists and can even share lists with others, provided they have an Apple ID. And there you have it – the TechnicalCafe.com 2017 “Favorite App” list! Though I’ve used many other apps over the course of the year, the ones chosen above stuck out to me as the ones that I’ve either used the most often or found the most useful throughout the course of the past year. If you’re interested in seeing what apps were chosen in previous years, please feel free to check out the “Favorite Apps” posts from 2016, 2015, 2014, 2013, 2011, and 2010 (yes, unfortunately, we did miss 2012…sorry…). 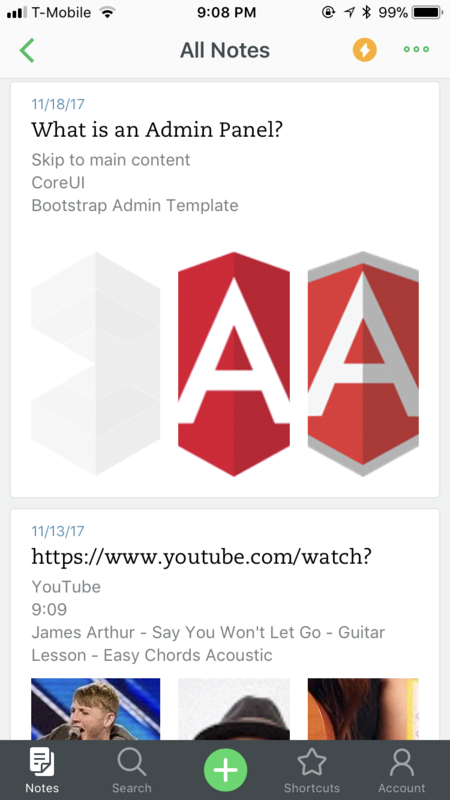 Thank you to everyone who read the TechnicalCafe blog, watched videos and tutorials on the TechnicalCafe YouTube channel, and to those who took the time to comment or reach out via email, I greatly appreciate it! I hope that everyone has a happy, healthy, and safe New Year! This entry was posted in Uncategorized on December 31, 2017 by Jamie.